Yesterday, SageMC 6.3.8a was released with support for FanArt giving you custom background images for each media file. This article will provide an overview of the new FanArt feature in SageMC and provide a how-to on setting up FanArt in SageMC as well as finding fanart for your collections. Before I go further into this tutorial, I want to send a speical thank-you to Mike known as MeInMaui on the SageTV forums for all of the work on this latest SageMC release including the new FanArt support. His tireless work on the latest SageMC updates has really kept SageMC updated to be the arguably the best Add-On for SageTV available today. Basically fanart typically refers to artwork by fans of a certain media such as movies, television shows or music. What does FanArt mean for SageMC users? 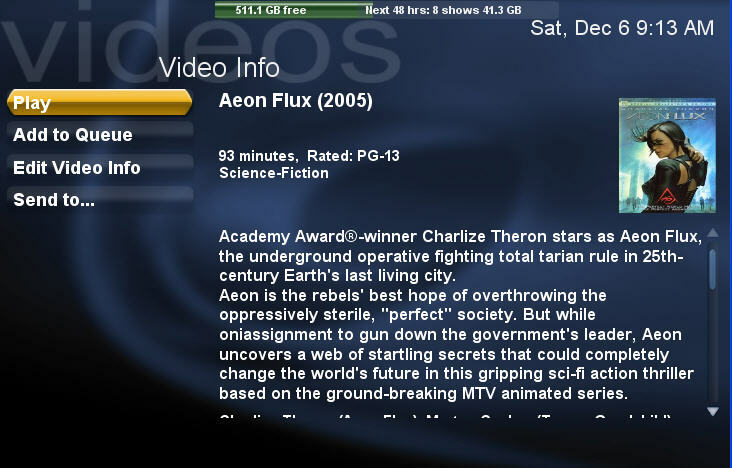 This is the details screen for the "Aeon Flux" Movie. In SageMC, this is what you see by default - the normal background with details, a small cover image and the inteface controls to play etc. 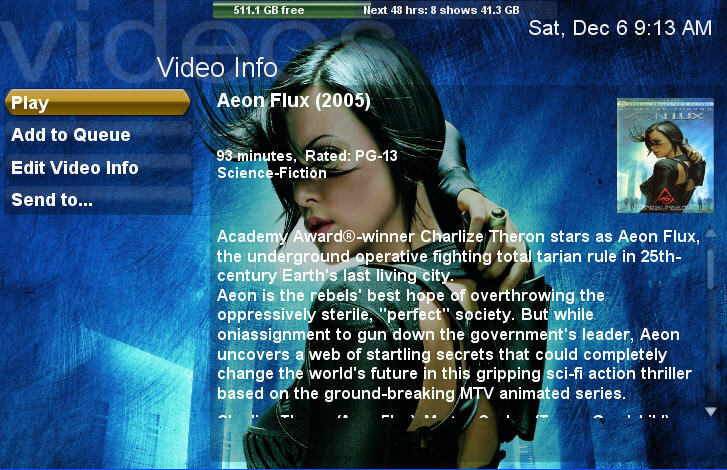 This screen-shot is from the same details screen as above, again for the "Aeon Flux" Movie except this time FanArt is enabled and the custom "Aeon Flux" FanArt background is displayed instead of the standard background. Some will prefer the standard background, but the effect is striking to me and something I've switched over to on my setup. I ran it by my wife for her opinion and she liked the custom backgrounds as well. 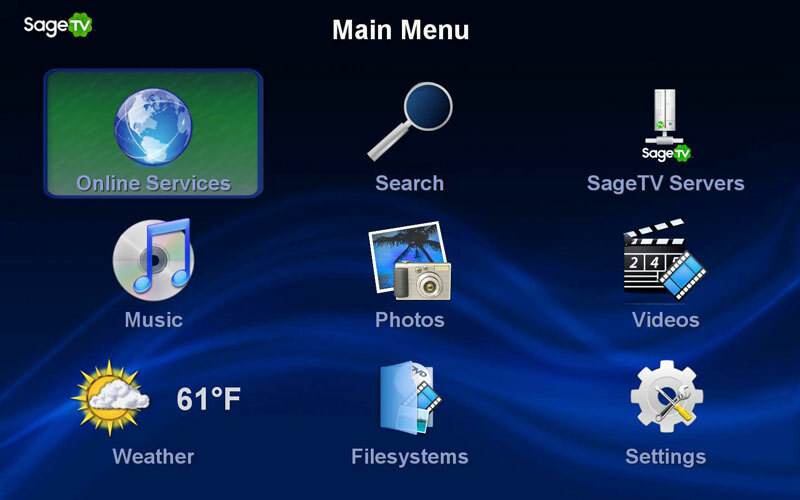 First you'll need the SageTV HTPC software and then install the latest version SageMC 6.3.8a or higher. If you're new to SageMC (not the same thing as SageTV - I know it's confusing), read the GeekTonic SageMC Primer here. Next you need to enable the FanArt function in your SageMC Settings. In SageMC, browse to Settings>SageMC>Main>GlobalUI Options>Display> Set this as "enabled" like the screen-shot below. This can be switched on and off as desired. Create a special directory just for your FanArt. I selected Media/FanArt and then created three subdirectories: Media/FanArt/Music, Media/FanArt/TV, Media/FanArt/Movies. If you're using this Central FanArt Directory Method described in this step 3, skip to step 5 now. Music Rename the FanArt background image file as background.jpg in parent folder OR [Album Name].jpg in central folder OR [Album Artist].jpg in central folder OR [Artist].jpg in central folder. Now it is time to find your FanArt to use with your SageMC setup. For now importing the FanArt images isn't an automated process (although I think that is in the works for a future update). But it isn't that difficult to find what you're looking for. I'll cover this in the next section below. If you know of other locations for FanArt, let everyone know in the comments. 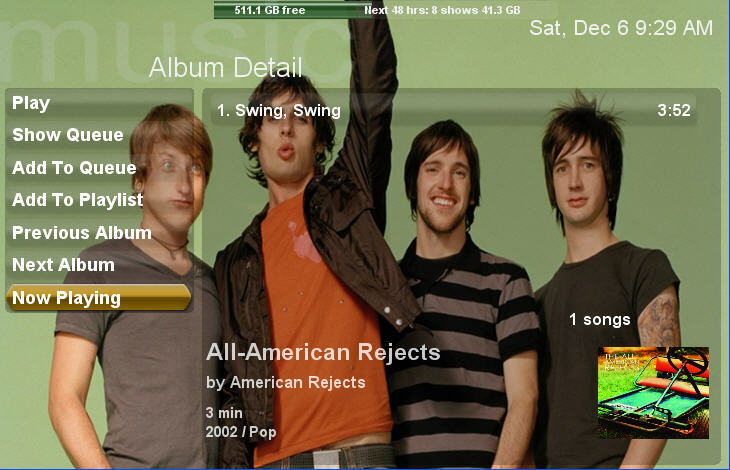 SageMC, the very popular replacement User Interface for the SageTV HTPC software has a new release that inludes FanArt, many behind-the-scenes fixes and a bunch of additional features for theme developers that you might not notice at first, but you soon will with more add-ons and themes. The big feature that most will notice is the FanArt addition, but there are a lot of very nice additions and new settings available to those who make the themes that make SageMC special. Watch for some nice, new themes for SageMC thanks to these updates. If you're interested in learning more about FanArt, how to set this feature up with your setup and where to find the FanArt images, check out the GeekTonic complete tutorial on FanArt in SageMC here. FanArt backgrounds! The background changes to match each media file you browse. Image files can be stored locally with media files as background.jpg or in a central location (SageMC checks both places for the image files.) Currently the process of adding FanArt in SageMC is a manual process, but there are plans to eventually will enable a more automated method. Setting to use themed external image file (htext_background.png) for the Htext menu. Text Frame configuration for Icon menu style when customizing icon layout. Download the update here, or the full install package here. Boxee announced the latest release of their HTPC software and it's packed with several new features including Netflix Watch Now! 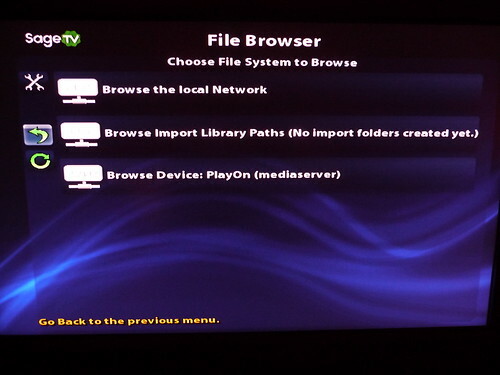 This release is of course for the versions of Boxee that are already available to the public beta members including Linux, Mac and AppleTV versions. The Windows Version of Boxee officially begins pre-alpha testing today (214 users) and will soon begin opening up to more testers. Integration with MTV Music - click on an album and you have the option to watch music videos of the artist. The WB - content streamed from The WB network! There is really only one program that allows you to rip and back-up your Blu-ray movies and that program is Slysoft AnyDVD HD. Last week, Slysoft announced a significant change to the way they sell the program as well as a good discount for this month. "Since Slysoft’s beginnings in 2003, all Slysoft product licenses have been sold with free product lifetime updates included. While standards, technologies and SlySoft’s product range have changed significantly since 2003, only now has Slysoft’s free lifetime update policy been reviewed with respect to converting to an annual subscription fee format for new license purchases." Thus far Slysoft hasn't announced the pricing or even the date for the switch to the subscription model. They have however given everyone the chance to purchase a copy of AnyDVD HD with lifetime upgrades included going forward. If you want to get in before the switch to lifetime upgrades now is a good time as Slysoft has a 20% Christmas discount (good through 12/31/2008) making the software $79. The discount applies to their other software as well. My only concern with the software is that it seems they will eventually be run out of business by the Media Companies and then the updates will stop. Still, they've been around since 2003 doing this sort of thing so they do have a good track record. NOTE: I do not condone or recommend in any way copying content that you do not own. I do however believe it should be ok to copy media that you have purchased for the purpose of using it on a noncompatible device for playback of the media you own as long as you are not selling it or "sharing it" with others who have not purchased the media. If you’re a Vista Media Center user and need (okay want) a new extender, be sure and check out Dell’s deal on the Linksys DMA2100 Media Center Extender. They have it in stock for $59.99 which is as low as I've seen it! For more deals like this check out GeektonicDeals.com Updated daily with the best tech deals of the day. I was browsing the SageTV forums tonight and stumbled upon a post that confirmed that the new SageTV HD200 HD Theater that began shipping this Monday (and now is temporarily out of stock) works with PlayOn. 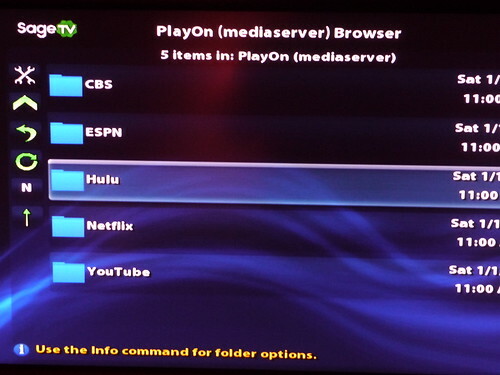 Many Xbox 360 and PS3 owners know what PlayOn can do - it provides Hulu, Netflix, CBS, YouTube, ESPN and other online video content right to your HD200-connected Television! I can also confirm that this works as I've tried it out myself. 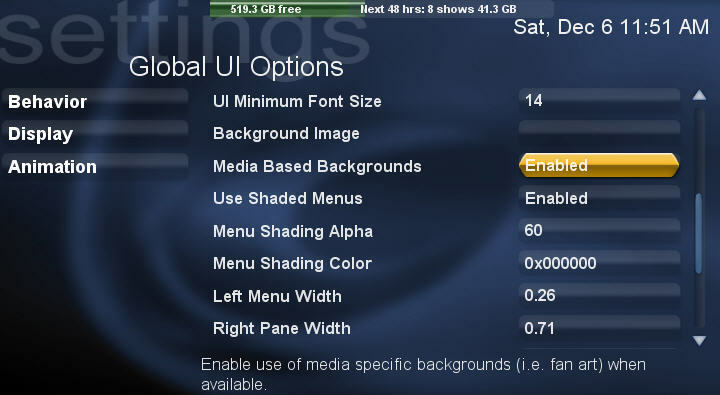 This functionality is possible because the HD Theater (HD200) supports UPnP server connections. 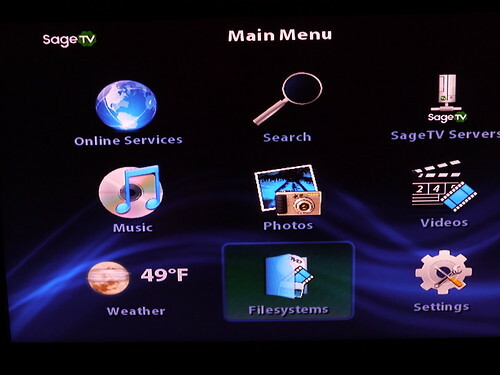 PlayOn uses UPnP functions of the SageTV HD200, and uses the computer to serve the video content from the Web across your home network onto the SageTV HD200. Next you'll see the main Playon menu with CBS, ESPN, Hulu, Netflix etc. PlayOn doesn't yet support the new Silverlight version of Netflix Watch-Now so if you upgrade to the Silverlight version, the Netflix Streaming won't work within PlayOn. The license for Playon includes a 14 day trial and costs $30 to purchase. My initial experience with PlayOn on the HD200 was good, but not great. I wasn't able to get Netflix or ESPN working as of yet (only been at it for 30 minutes) and I do not love the way the User Interface is organized although that could easily be fixed with a simple update from SageTV. The other thing I'm hoping is that SageTV will somehow enable UPnP in extender mode so that this can be added to the extender menu - that way you wouldn't have to switch away from extender mode to get Hulu for instance. Remember though that I had very little time with this before writing this post. Also the HD200 is brand new and PlayOn is still in beta so there is plenty of time for further improvement. Ideally the folks at SageTV will work out an arrangement with Netflix for instance to deliver Netflix Watch-Now integrated into the HD200's, but for now this should provide everything the HD200 users need. I'll bet there are a lot of HD200 owners who would pay that $30 just to get Hulu and Netflix Watch-Now onto thier Televisions via the SageTV interface. I think it could also bring even more demand for the HD200. Remember that new SageTV HD Theater we just told you about earlier this week - you know the one that can act as a faster HD Extender for SageTV as well as a standalone media player that gives you access to all of your network media, YouTube and Google Video? Well if you weren't quick, you missed out for the moment cause it's already out of stock! The good news is that SageTV is projecting to have more in stock by 12/15 and will be taking preorders beginning 12/12. 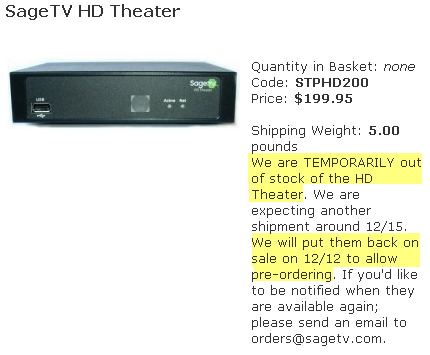 So if you want one before Christmas you better plan to stop by the SageTV store on December 12th - the HD100s and now HD200s seem to sell like hotcakes and its obvious SageTV orders in relatively small batches so you've been warned. If you are a heavy-duty BeyondTV user you probably already know about a little plugin for BeyondTV called "BTV Externinator." This plugin takes the popular BeyondTV PVR software and adds several amazing features to BeyondTV. This past week, BTV Externinator (BTVE for short) was updated to version 1.70 which requires BeyondTV 4.8. Wanting to record as many of the Holiday Specials as you can? Well you'll want to check out the Holiday Viewing Guide put together by CliqueClack.com. 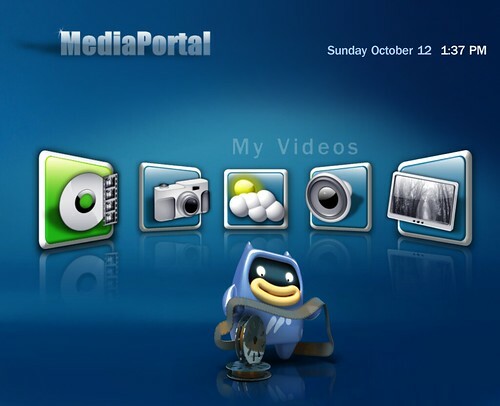 Now that the Media Portal 1.0 RC3 release has been available for several weeks and the HD-PVR now works with Media Portal, the MediaPortal crew has been busy working out any remaining bugs in that release. Just before Thanksgiving they released RC4 with a bunch of bug fixes so if you're using Media Portal RC3, be sure and get your update. The final release is set for sometime before Christmas 2008. The hot Dell.com deal for $183.99 Hauppauge HD-PVRs went back up to over $200 dollars a few days after I posted it last time, but the deal is now back at Dell Home with a coupon! Dell Home is listing the price as $229.99, but with Coupon code "5MNL7?12RHRDD6" it drops to $183.99 with free shipping! Hauppauge Computer HD PVR High Definition Personal Video Recorder $183.99 with Free Shipping! If you're like me, you skipped the Black Friday madness and decided to see what kind of deals you could get online instead. Even last Friday there were some good online deals, but today, CyberMonday (the online equivalent of Black Friday) arrives for the really smart shoppers. I'm seeing free shipping deals across the board including Amazon, Apple, Buy, ZipZoomFly, Dell and HP. Beyond that there are plenty of small discounts and even a few really good ones. If you're looking for the best deals, watch for the HDTV's, cameras, video game machines and even a few of the MP3 players. If you're looking for the deals and discounts, be sure and take a look or better yet subscribe to GeekTonicDeals keep up with the latest good deals. I'm working hard to keep all of them updated on a daily basis. The new HD Extender is called the SageTV HD Theater or the more geeky name of HD200. The SageTV HD Theater (HD200) can function just like the HD100 extenders did – it handles all of the same video & audio formats plus some, handles STVs (replacement UI’s) just like the HD100, handles STVi’s just like the HD100, Can act as Placeshifter client etc). Price is $200 – so you get the same functionality plus some new functionality all for the same price as the HD100 was selling for. Alternatively you can buy the SageTV bundle and get the HD200 along with the SageTV software for a PC (required if you want the PC to be the HTPC server). Just like the HD100, the unit is fanless (and therefore probably silent). Hardware - My guess is that the insides are slightly upgraded with a new Sigma Chip as well although I don't have confirmation of this yet. Control buttons are no longer on the front of the unit like they were on the HD100. Maximum Number of SageTV HD Theaters: Limited only by your home network bandwidth, each HD video stream may use 20 Mbps or more of home network bandwidth. Just keep in mind. SageTV is saying that the HD Theater device can do everything the HD100 Extender can and then some so it might be helpful to review the SageTV HD100 Extender review if you're not familiar with the device. Stay tuned to GeekTonic for a complete review of the new SageTV HD Theater (HD200) coming soon!